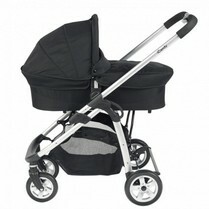 Where can I buy iCandy Prams, iCandy pushchairs and accessories? If you’re buying your first pushchair – or if you’re a first-time proud grandparent making the purchase – the choices facing you can seem almost overwhelming, not to mention the expense. But what do you get for your money? Easy for us to say, but you really do get what you pay for. Your pushchair needs to be manufactured and tested absolutely rigorously to stand up to the punishment it will inevitably get, but it also has to be easy for you to use, and design has come on a long way. iCandy pushchairs can't be bought online because the iCandy team truly believe the best way to buy a pushchair is to try it out and receive one-to-one personalised advice. Our specialist Partners will be happy to demonstrate the iCandy products and answer any questions you may have. Find Kids Store here. iCandy is a British family business with over 80 years of family expertise in the manufacturing and design industry. Launched in 2005, iCandy have been dedicated to creating pushchairs to reflect your unique sense of style as well as your desire for practical, well-designed solutions. The iCandy range is specifically developed for the parent who needs something special, something different, something that catches the eye. Every fold, every curve and every movement of this iconic British brand is a celebration of contemporary luxury, quality and textures. 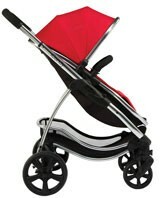 You'll be pleased to know that iCandy also make accessories for their pushchairs which we stock online. Featuring an exclusive range of five beautiful, multi-functional pushchair systems that will change the way you think about early parenthood forever. The days of having to choose between practical functionality and fashion-leading style are over. 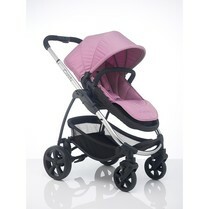 iCandy is where the two elements merge seamlessly and elegantly. However, we do offer all iCandy accessories on our website. So if you're looking to personalise your iCandy pushchair everything you need will be at your fingertips. Click image for more information from kids store. The new iCandy Apple2 multi mode system has been designed to expand to meet the growing needs of your family. The unique pip converter simply attaches to the chassis of the iCandy Apple2 allowing you to convert to a double pushchair by securing a newborn nest or additional seat unit. Weighing just 12.5kg the Apple to Pear pushchair is nearly 40% lighter than the original Apple with no compromises on the functionality. 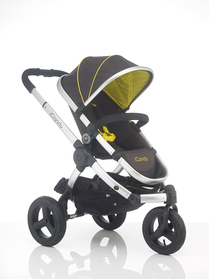 With the option of a forward or rear facing seat unit the chassis is also compatible with the Maxi Cosi Pebble, Cabriofix and BeSafe iZi go infant carrier, creating an ideal travel system. 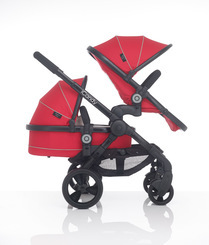 Available in 7 tantalising colours: Caviar, Chilli, Aniseed, Papaya, Cassis, Raspberry Blue and Cookie the iCandy Apple2Pear provides the perfect stylish pushchair. More about the iCandy Apple 2 Pear from icandy's website. Awarded Best Buy, in May 2013, from the UK’s largest independent consumer group Which?, the Peach 2 pushchair system is designed so perfectly around you and your baby it’s like one of the family. With a lie-flat carrycot (sold separately) that can easily be removed with one hand not to wake your little one; an ultra-smooth, single-action folding mechanism; and best in class manoeuvrability, we’ve discovered the beauty of simplicity. 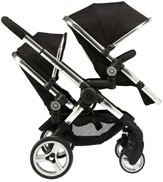 Available in 4 fabulous colours: Black Magic, Parma Violet, Silver Mint, and Berry Bon Bon, the iCandy Peach 2 offers all the functionality you need, from compact one-hand folding to being able to convert into a double mode of transport - this upgrade is done simply with the addition of a Peach Blossom converter. A great investment from the outset knowing you can grow your stroller with your growing family. More about the iCandy Peach 2.from icandy's website. Awarded Best Buy, in May 2013, from the UK’s largest independent consumer group Which?, the Peach Blossom 2 offers a superbly modified version of our already outstanding Peach Blossom travel system. The Blossom 2 accommodates our new extended converter bars which allows you to create a larger lower seat unit with a three position recline. The carrycot is also now larger than previously. 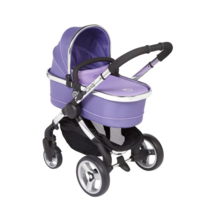 Available in 4 stunning colours: Black Magic, Parma Violet, Silver Mint, and Berry Bon Bon, the Peach Blossom 2 doesn’t compromise all the great features of the original peach and includes smooth manoeuvrability on the footprint of a single pushchair. The most flexible solution for your growing family! More about the iCandy Peach Blossom 2 from icandy's website. The Peach 3 pushchair has both parent-facing and forward-facing seat options with three reclining positions. Available in a choice of 8 fabulous colours, in either a matt black or chrome finish chassis, and raincover. Optional extra carrycot suitable from birth and for overnight sleeping. The carrycot comes with feet which prevents the base from touching a cold surface whilst providing better ventilation. Comes complete with padded mattress and raincover. Ideal until baby can sit unaided or weighs 9kgs. The iCandy Peach 3 pushchair or Blossom can be converted into a travel system with upper and lower car seat adaptors. Compatible with the Maxi-Cosi Cabrio and Pebble (single and Blossom mode), and BeSafe iZiGo infant carrier car seats (single mode only). See accessories for price of car seat adaptors. More about the iCandy Peach 3 from icandy's website. The action packed Peach All-Terrain. 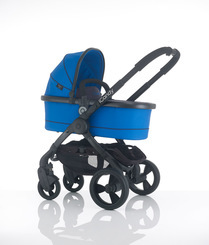 Multi-functional, versatile, manoeuvrable and stylish; everything a parent could wish for. With sporty action, air-filled tyres for unbelievable terrain versatility, this is the pushchair for parents who want to show their child how to enjoy life to the maximum. And that goes for style too; modern sleek curved combine with soft touch sports fabrics and simplistic styling, and two striking colours: Toucan and Sneaker. The iCandy Peach All-Terrain multi-functional travel system offers functionality beyond measure; from the compact one-hand folding and the quick release front wheel, to the modern easy-lift lie-flat carrycot and one-touch folding chassis. 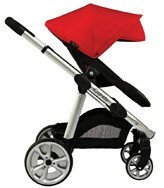 More about the iCandy All-Terrain Pram from icandy's website. The Strawberry offers incredible functionality and unbelievable style. With so many exciting features including MemoryTM auto alignment and unique one-hand Step & Stand FoldTM , the Strawberry has everything you could ever need. A lightweight aluminimum chassis weighing only 8kgs (17.6lbs), a large lie-flat carrycot, and an infant carrier car seat (sold separately), this is the ideal travel solution. Available in 4 delicious colours: Pomegranate, Elderberry, Assam and Earl Grey, the Strawberry can be personally customised with iCandy's specially designed flavour packs. For new parents who want it all, this is the perfect solution. More information about the Strawberry from icandy's website. You were busy before your little one arrived, and now it has multiplied beyond the realms of mathematics! iCandy Cherry is designed for your lifestyle - an astonishingly well thought through multi-functional pushchair system that doesn't compromise your sense of style. The iCandy Cherry has a lie-flat carrycot (optional extra) that comes with a padded mattress and raincover, and is suitable from birth and for overnight sleeping. The carrycot also comes with feet which prevents the base from touching a cold surface whilst providing better ventilation. For more information about the cherry from icandy's website. For the new mother who wants it all, the gorgeous iCandy Strawberry 2 multi-functional system has it all... incredible functionality and unbelievable style. There really is nothing like it. With so many exciting features, like MemoryTM auto alignment and unique one-hand Step & Stand FoldTM action, the iCandy Strawberry 2 has everything you could ever need. A lightweight aluminium chassis that weighs only 8Kgs, a large lie-flat carrycot, and car seat (sold separately), it’s the perfect travel solution. All of this functionality wrapped up in stylish sleek curves, smooth lines and head-turning fabrics takes the iCandy Strawberry into a world of its own.